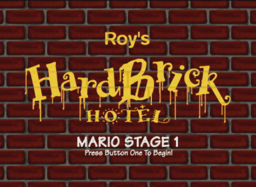 Roy's HardBrick Hotel is the second hotel found in Hotel Mario, owned by Roy Koopa. 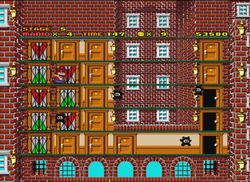 The name is a pun on the Heartbreak Hotel, a fictional hotel mentioned in a song by Elvis Presley. 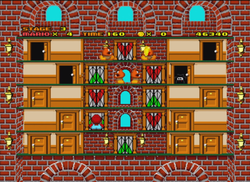 As its name implies, it is a hotel built mainly out of bricks. 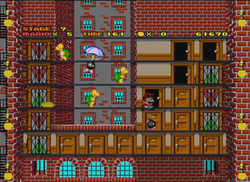 After Morton Koopa Jr. is defeated in his Wood Door Hysteria Hotel, Princess Toadstool falls in the arms of Roy Koopa, who brings her to the HardBrick Hotel. 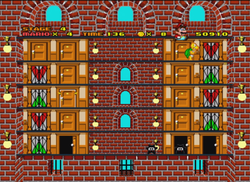 The hotel's lights have an inexplicable flicker that is visible from outside, leading Luigi to ask Mario how will they be able to find the princess with the lights going out. 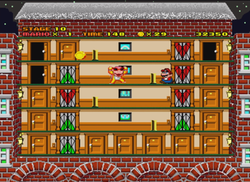 Mario conjectures that there may be a switch located inside the hotel that would solve the problem. 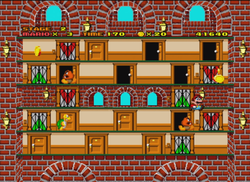 He later finds that the flicker is caused by the excessive usage of electricity in the toaster room, where a cluster of toasters are toasting Bowser's Sourpuss Bread. 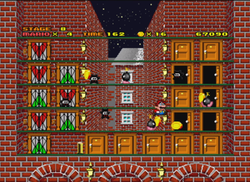 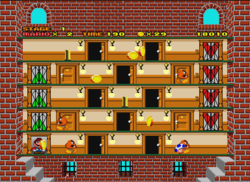 Enemies found in the hotel are Mini Ninjas, Parabombs, Koopas and Goombas. 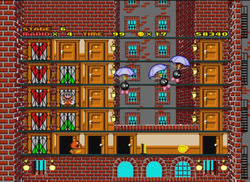 The boss stage is known as Roy's Rowdy Rooftop. 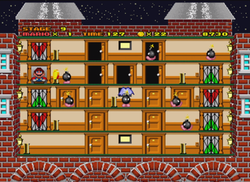 This page was last edited on December 10, 2018, at 18:15.